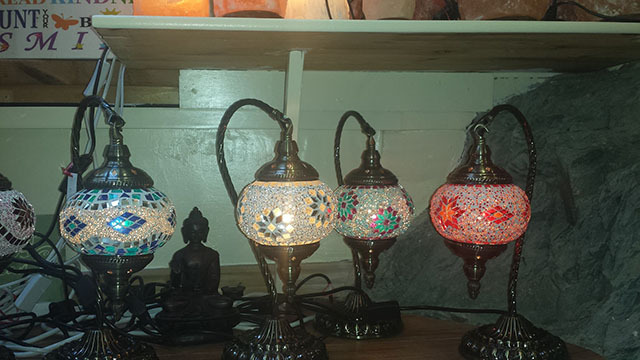 We’ve a great offer in store right now – 20% off ALL Turkish Mosaic Lamps. There’s a delightful array of designs and colours to choose from in our range of these beautiful items, which bring forth an enduring tradition of ‘special’ light from the Orient. Cut glass pieces of many colours are carefully assembled to produce decorative patterns on each light shade, to create special mood lighting or accent lighting and a unique ambience to any room of your home. They’re perfect for sitting rooms, bedrooms, and even the sideboard in your hallway. Just call in store to see all you can choose from – and remember, all at 20% off!